ONE ONLY - SAVE £500! 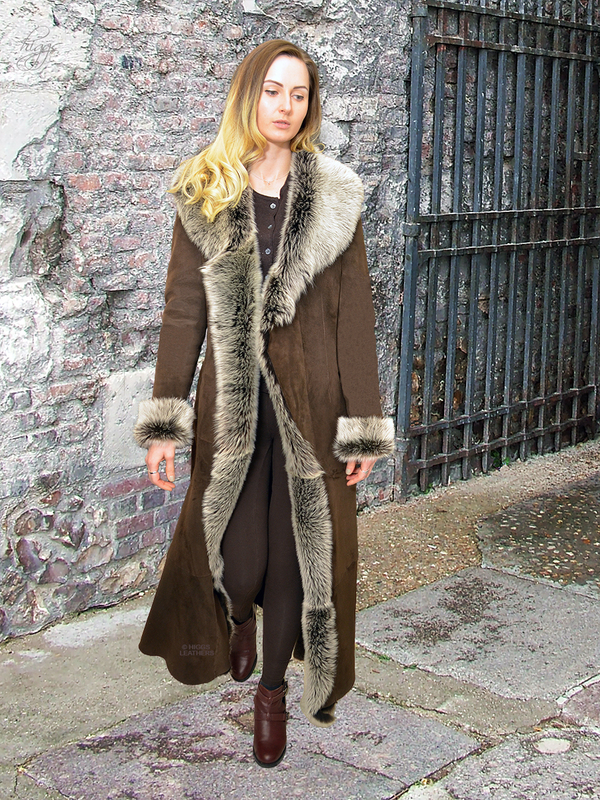 Superb extra long Chocolate Brown shade ladies Merino Shearling coat lavishly trimmed with luxurious Chocolate Snowtip shade longhaired Toscana Lambskin. 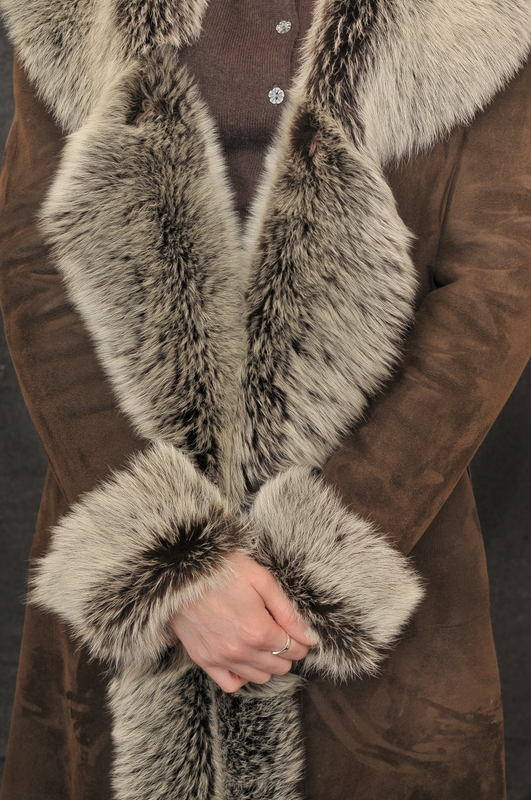 Fully fitted body with luxurious full Toscana collar worked into the front edges of the coat that turn back to give a "Tuxedo" effect. 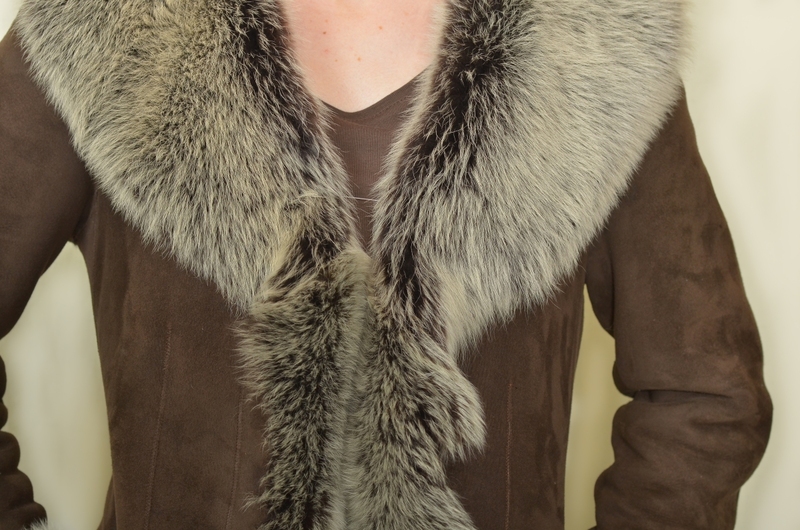 Straight sleeves with turn back cuffs. Fastens with internal hooks and eyes. 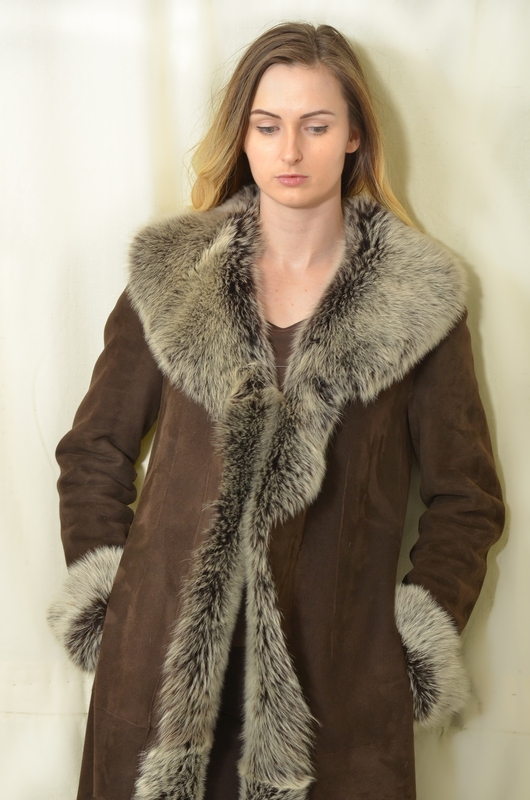 Please note: Toscana Lambskin has a lovely soft longhaired wool and looks very similar to fur, but is in fact lambskin. 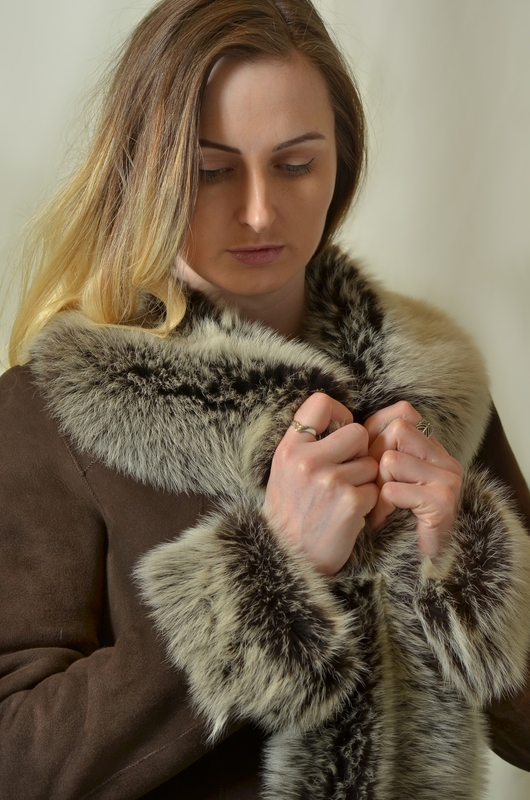 It is the most luxurious looking of all the different types of Shearling skins and is incredibly soft, light weight and wonderfully warm.